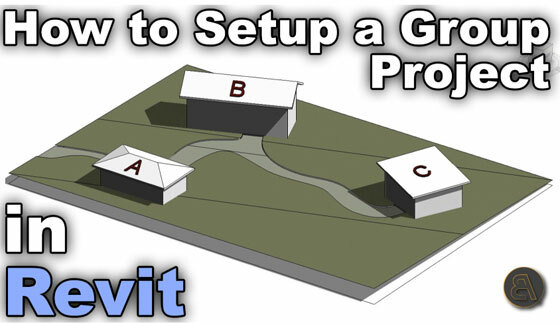 In this exclusive Revit video tutorial, you will learn how to link up several project files along with setting up group project file. While dealing with any type of multi-building project, it is necessary to manage all the details. Each building might be a separate linked file linked file. In selection process, it become difficult to manage the details based on whether all of the buildings are contained in one set of construction documents or if every building will be a separate set of documents. 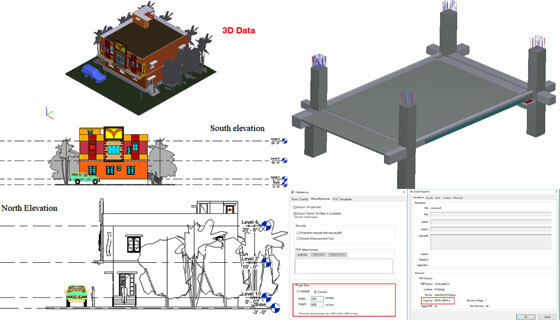 Depending on the project and two above cited approaches, there are several strategies which can be adopted inside Revit-based software to simplify the construction document process. Revit facilitates you to accomplish your work in different Revit projects and then link them together for coordination. In Revit, it is possible to make a separate detail file to link with several files. Apply for linking details for separate construction documents. 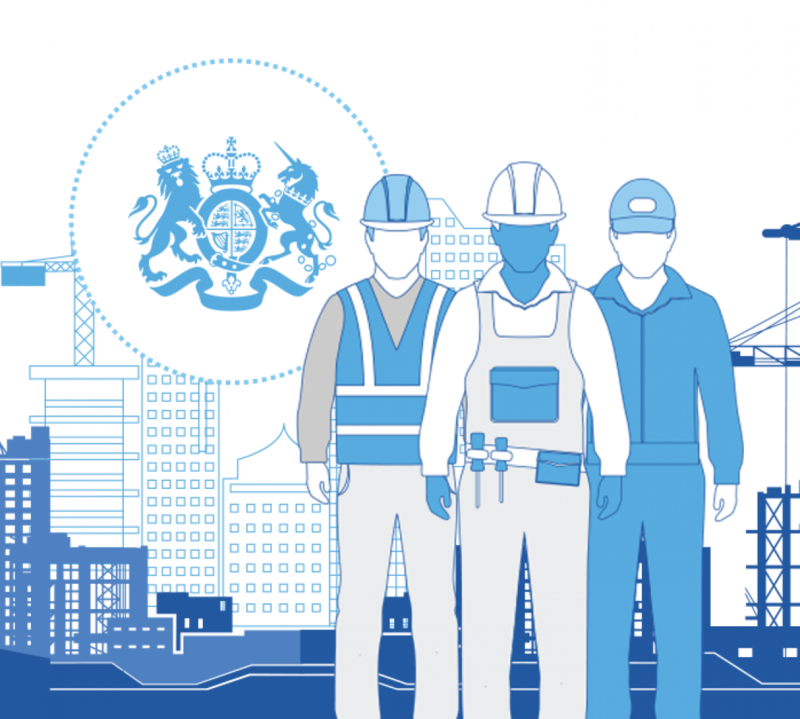 Apply for linking buildings for a single set of construction documents. To get more clear ideas, go through the following Revit video tutorial. In this article, you will be familiar with some useful AutoCAD tricks and shortcuts which can significantly reduce your drawing time. CHSPACE: This shortcut is used to shift objects in a drawing from layout to model space with the selection of a viewport to move the text or objects into. It is applicable in both directions. BURST: BURST shortcut can be applied to break out a block/object keeping all its attributes as it is. NCOPY: Replicates linework or objects out of a nested object into your existing drawing. It is mostly beneficial for fetching XREF linework into existing drawings. OOPS: OOPS shortcut can adjust your mistake (as long as it’s a delete) regardless how far back it was. Devoid of applying CTRL-Z, OOPS undoes your last erase command keeping all the works unchanged which have been completed since then. FILEDIA: Fixing this value to 1, facilitates dialog boxes to open in AutoCAD, fixing it to 0 means everything is finished in the command line. 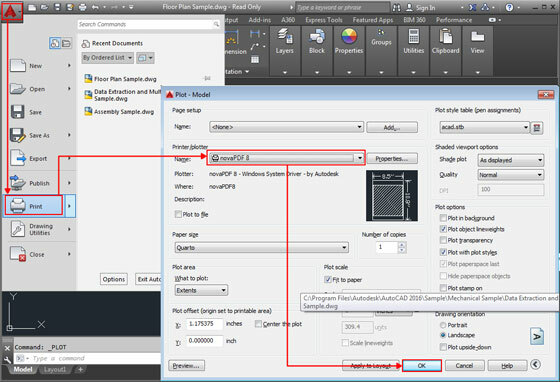 APPLOAD: This shortcut facilitates you to fix which application to load along with opening AutoCAD. Work with Images: Rather than scaling and rotating images every time, just include the image into a blank drawing and fix its position, scale, and rotation. After getting image as per your choice, save the drawing. It allows you to add that image as a drawing, rather than the image, and all settings remain identical. Specifically ideal for the images like company logos, etc. To get more information, watch the following video tutorial. R / REDRAW: Restore the drawing in the viewport. DIMBASELINE: This shortcut produces a dimension that commences from a baseline of previous dimensions that is linear, angular or coordinate. ID: Shows point coordinates all through your worksheet. Autoscale Setting: With it, your default scale factor can be modified by fixing the Auxiliary scale factor to Plot Scale or Dimscale. ASCENT – Center for Technical Knowledge, a member of the Autodesk Authorized Publisher Program, just launched its updated Learning Guides for Autodesk 2019 software. ASCENT’s wide-ranging Autodesk 2019 Courseware Roadmap layouts the release dates for over 70 titles. Titles exist in both print and eBook formats via ASCENT’s online store at ASCENTeStore.com, and in print at Amazon.com. Besides, Autodesk 2019 offerings, ASCENT has introduced a French version of Revit Architecture 2018 Basic guidelines, known as Autodesk Revit 2018 Architecture: Concepts de base (Métrique) to spread out BIM program to the French language architectural community with the collaboration among ASCENT and Autodesk. By extending the BIM programs to the architectural community, it is possible to cope up with the advancement in AEC industry as well as fulfill the mission of architects. These learning resources are specifically designed for self-paced learning, instructor-led training, and on-the-job reference. ASCENT also provides Video-Enhanced eBooks, Official Certification Preparation books, self-paced eLearning and Video-Enhanced eLearning Bundles. The educational institutions, corporations, Autodesk Training Centers and individuals can access ASCENT’s Learning Guides worldwide via distribution centers in North America, South America, Europe, Australia, and Asia. For volume sales, contact an ASCENT representative at 1-866-527-2368. 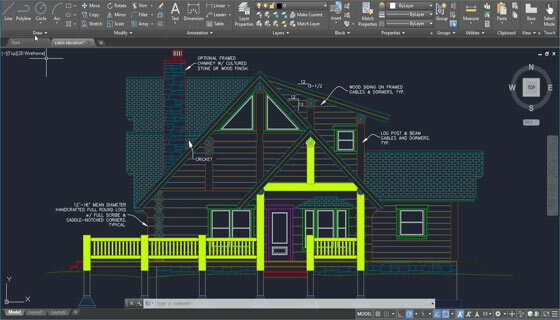 Once the drawing is completed in AutoCAD, it is often required to transform it to PDF or image format or take print some of the portion of the drawing. 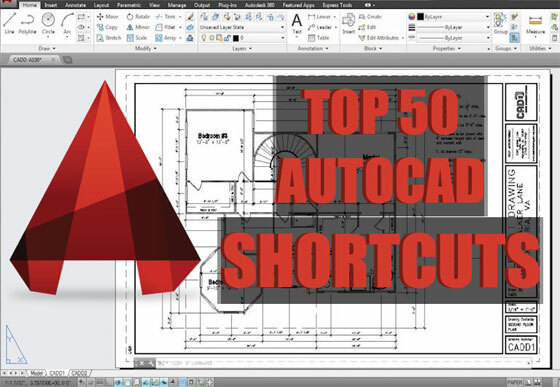 In this AutoCAD video tutorial, you will learn how to do it efficiently. Now in page set up dialog box, go to printer/plotter section and select the option as per your choice. As for instance if you want to transform to PDF, then select DWG to PDF. Then go to paper size to select page size. Then opt for what to plot situated under plot area. Then select window from drop down menu. After going to window, select the portion of the drawing to be converted to PDF or printed. After selection, click on it to go to page set up again. You can also click on plot offset option to provide offset toward X or Y axis. Now, click on plot style table and from the drop down menu opt for grayscale or monochrome etc. Now, click on scale option situated under plot scale and maintain ratio of scale for the drawing. If it is not required, click on fit to paper option and exit. Then go to drawing orientation and select portrait or landscape and then press ok. Then save it to any drive of computer. For more clear ideas, go through the following video tutorial. CorelCAD Mobile is the newest mobile app for iOS that is launched by Corel Corporation. The new app substitutes the company’s desktop CorelCAD 2018 application for Macs and Windows PCs. 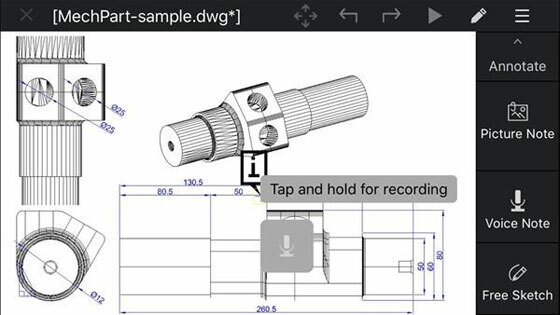 The new app is free to use and contains some useful features for observing 2D and 3D .DWG files and producing basic annotations. The paid version of the app allows the users to enjoy complete set of editing features with 2D drawing tools, advanced annotation capabilities and support for 3D model viewing. The price of the subscription version is $99.99 US (99.99 euros, 89.99 GBP) annually or $9.99 US (9.99 euros, 8.99 GBP) per month. It comprises of sketch tools for obtaining ideas from any remote location remotely. Subscription users will also be able to perform any modification to the model or adjusts with over 150 drawing and editing features. Both 2D tools for drawing and editing of the app are improved for touch and high accuracy. It is now possible to move .DWG files among Corel’s desktop and mobile platforms with Box, Dropbox or Google Drive with the intention of preserving drawings in the cloud as well as or copying them locally to their mobile device. The users will be able to give demonstration to clients and colleagues with projector video output support from either their iPad or iPhone as well as allow the team members to execute collaborative, remote editing of .DWG models. Drawings are also annotated to include or edit project details like measurements or to comprise text notes. Furthermore, PictureNote and VoiceNote features facilitate the mobile users to obtain an image or record their voice, then pin the image or recording to a particular place in a drawing. CorelCAD desktop Mac or PC users will be able to view the images or listen to voice notes to deal with the required changes in the .DWG file. 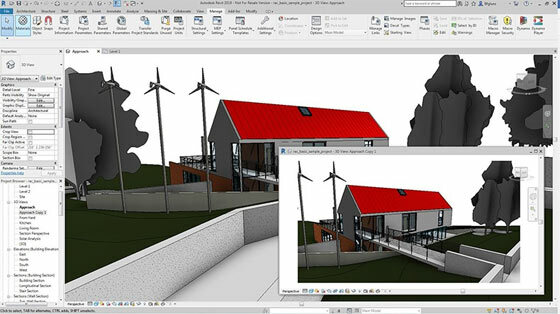 ProtoTech Solutions has introduced its most updated version (v3.1) of 3D PDF Exporter plug-in for Autodesk Revit. With this new version, the users will be able to define the page size and export 3D PDF according to this. The plugin is well suited with 600X600 inches custom page size. The user can view the page size in properties of PDF. It will be very suitable in printing the BIM models to scale. The PDF template functionality in the earlier version has been enhanced significantly. This latest version allows the user to export 3D data on any page of PDF template. Now, it is also possible to export rebar entities in 3D PDF. • Provide support to implant 3D PDF PRC data into user defined templates. • Support user defined page size upto 600 X 600. • Supports face level colors and textures. • A password can be set on the exported PDF file. • Option to manage the file size and quality by indicating accurate value. • With the help of a default compression, the file size can be decreased as far as possible. • It is compatible with Autodesk Revit 2014, 2015, 2016, 2017 and 2018.